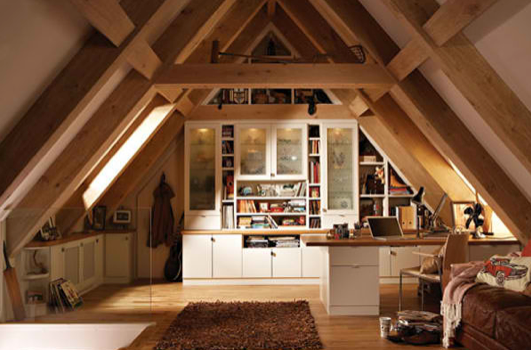 We all know that attics make great storage spaces, but they have so much more potential than just a home for boxes! 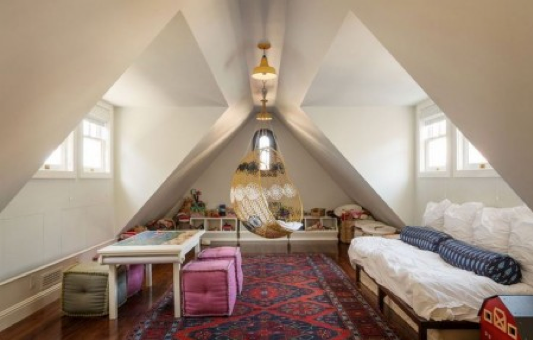 With some good styling and a little work you can transform your attic into any number of rooms. 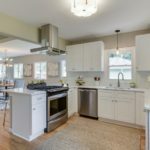 There is a plethora of ideas out there but I rounded up some fun examples for a guest bedroom, a creative art studio, a kids’ playroom and a home office. 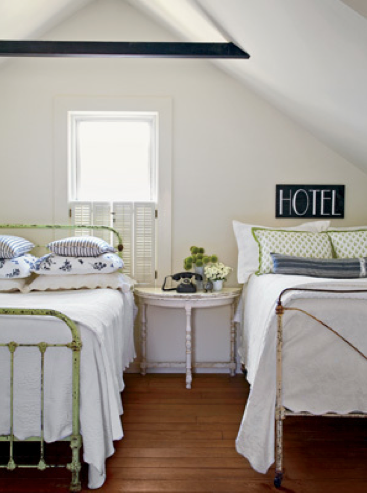 Attics are typically big enough to have two beds, which is a great idea for a guest bedroom. Because the shape is so unique you can get really creative with the decorations, like the bright colors and lights in the middle photograph. Add a rug to make it cozy for your guests. 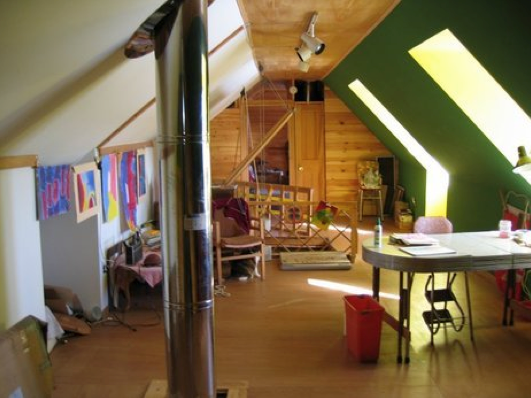 The attic is a nice option for an art studio or a creative workspace because you can have a little “creative mess” and it won’t make the rest of your home look disorganized. Just put a table and some storage bins in the attic and you’ve got yourself a great place to make some arts and crafts. 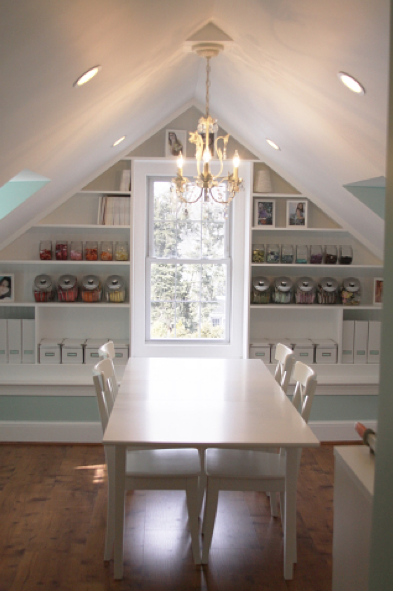 Like the creative workspace, a playroom is nice to have in an attic because they rarely stay organized. 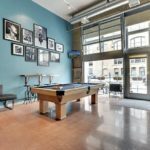 Also, children are smaller and the tilted walls won’t bother them as much as they might an adult. 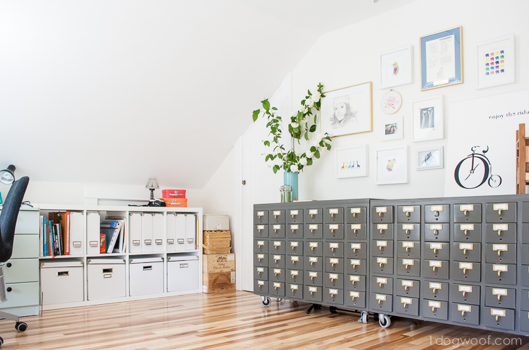 The attic is a nice place to go for some respite from the typical chaos that encompasses a house, making it a perfect place to put a home office! 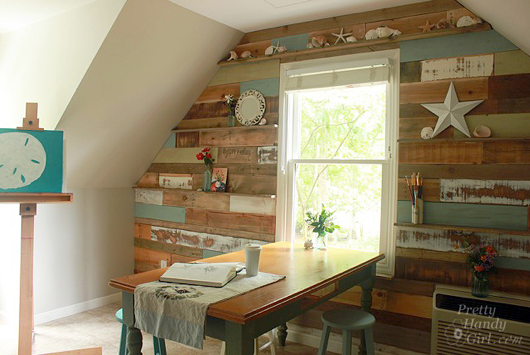 Capitalize on the light from the window to make it an energizing space to get your work done. 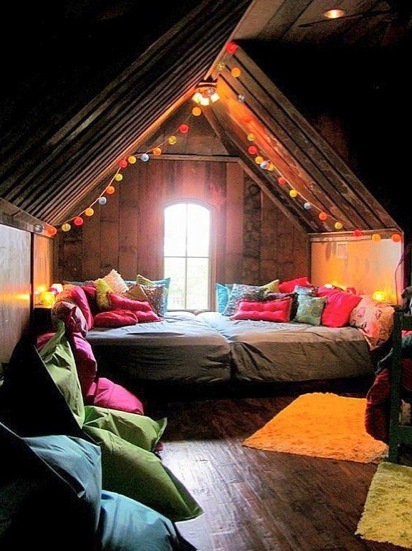 If you have an attic, do you do anything creative with it? I would love to hear in the comments below!